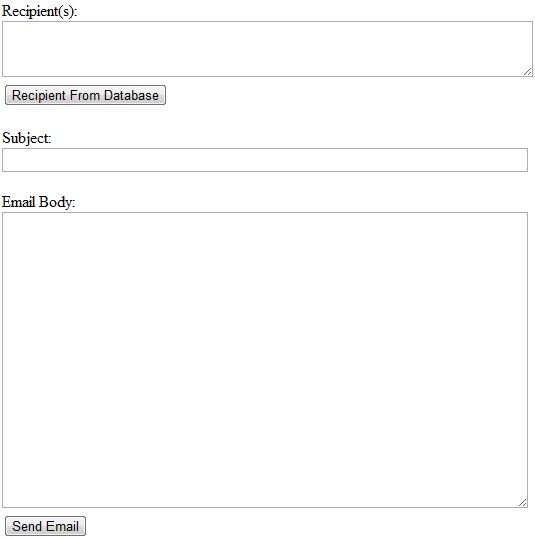 I have been asked zillion times that How to Send Bulk Emails using C# or VB.NET in ASP.NET. 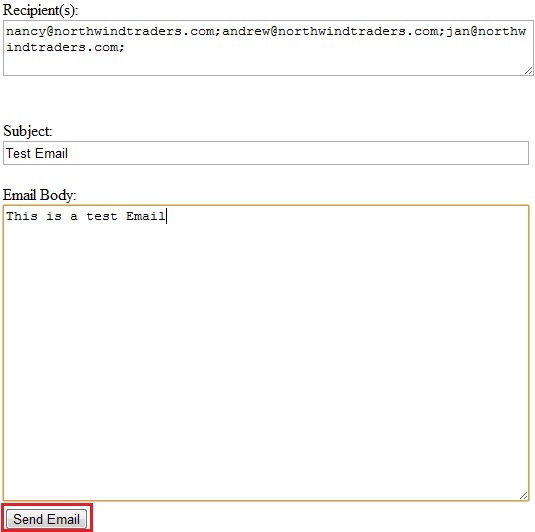 Well, there are hundreds of tutorials all over the internet on sending bulk emails in ASP.NET using C# or VB.NET. 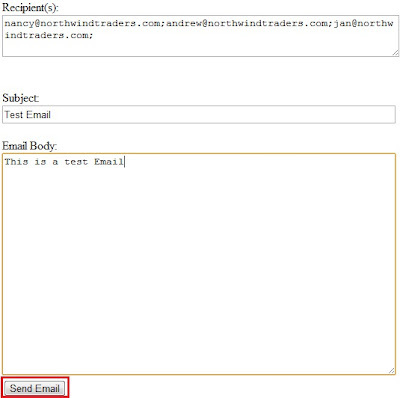 However, I decided to post a basic "how to" for beginners so that they can easily understand the functionality of send bulk emails in ASP.NET. 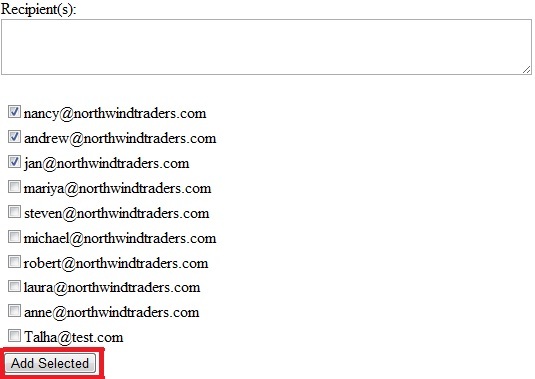 For this example I will be using Northwind Database. <asp:TextBox ID="txtRecipient" runat="server" Height="50px" Width="525px"
<asp:TextBox ID="txtEmailBody" runat="server" Height="290px" Width="520px"
Now, user has two options, either they can select multiple users from list and/or they can add recipients email address manually separated by ";"
'#Region "Direct Email to db Recipients"
Dim connectionString As String = "Provider=Microsoft.ACE.OLEDB.12.0;Data Source=C:\Users\Talha\Documents\Database2.accdb;Persist Security Info=False;"
Now you may type Email Subject, Email Body and press "Send Email" to send bulk emails! However, for any query, feel free to contact me!